This Standard Columbia was the most simple Columbia model in 1882. It is the model that Columbia (built by the Pope Manufacturing Company in Hartford, Connecticut) introduced in 1878, the first American highwheeler. That one was a copy of the Bayliss, Thomas Excelsior. This model features original details like locknut spokes and open head. 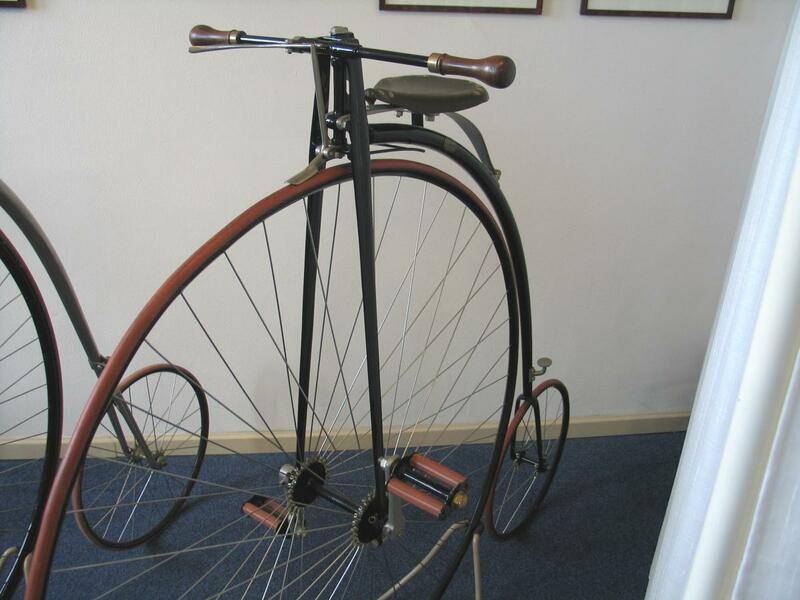 It still has plain bearings of the first model, making it an 1880-81 bicycle. Late 1881 Columbia switched to detachable plain bearings. Ball bearings were offered as an option in 1882. Being a cheap model, it still has a lot of late-1870 details. Look at the brass oilers on the front bearing! This bicycle in the Velorama Museum shows all details of this early Columbia. 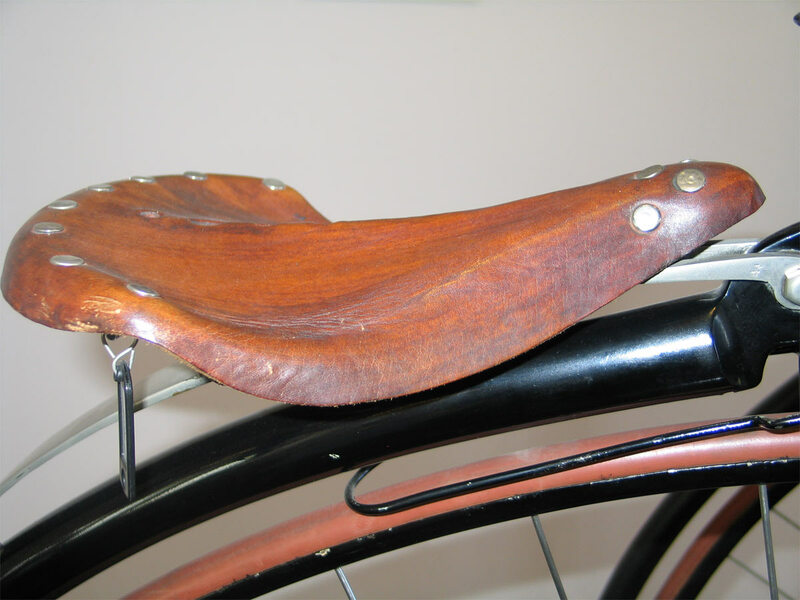 From year to year there were changes, like length of the saddle spring. 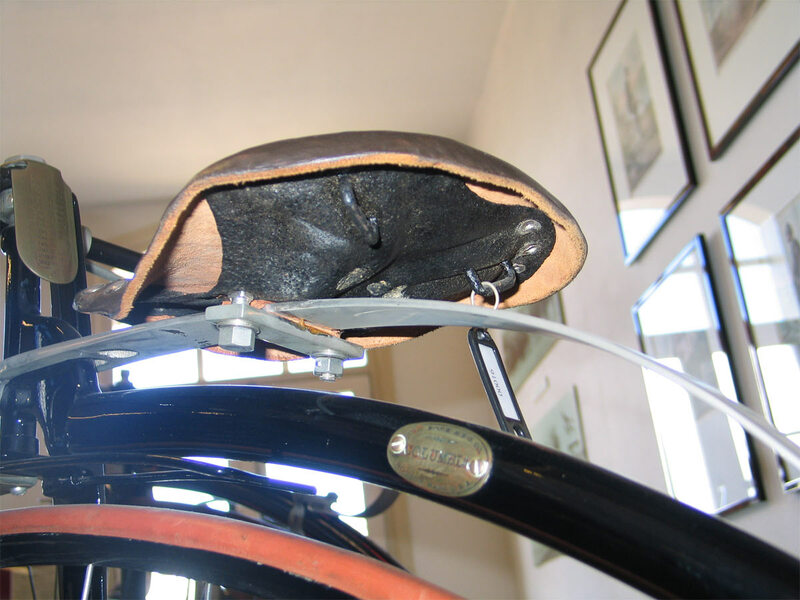 The first models (1879) didn't have detachable cranks. 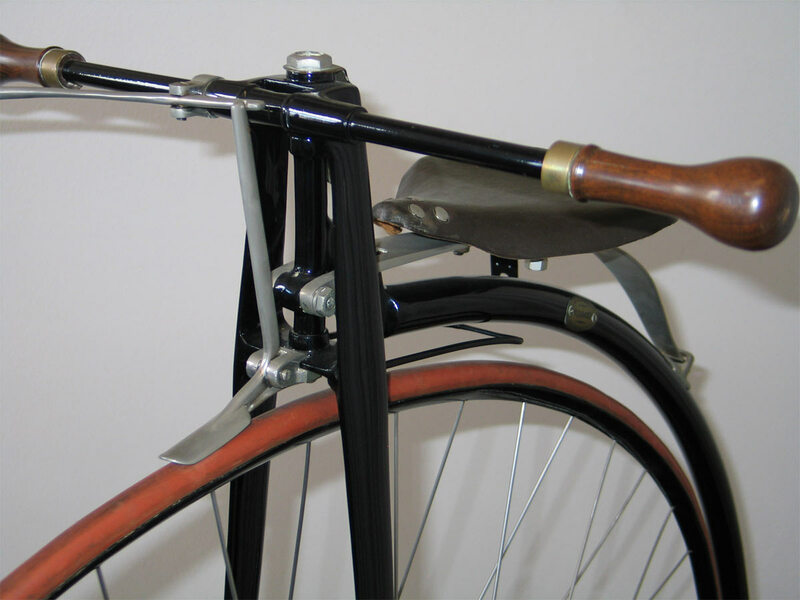 The later models (1883-1887) had direct spokes, without the oldfashioned locknuts. 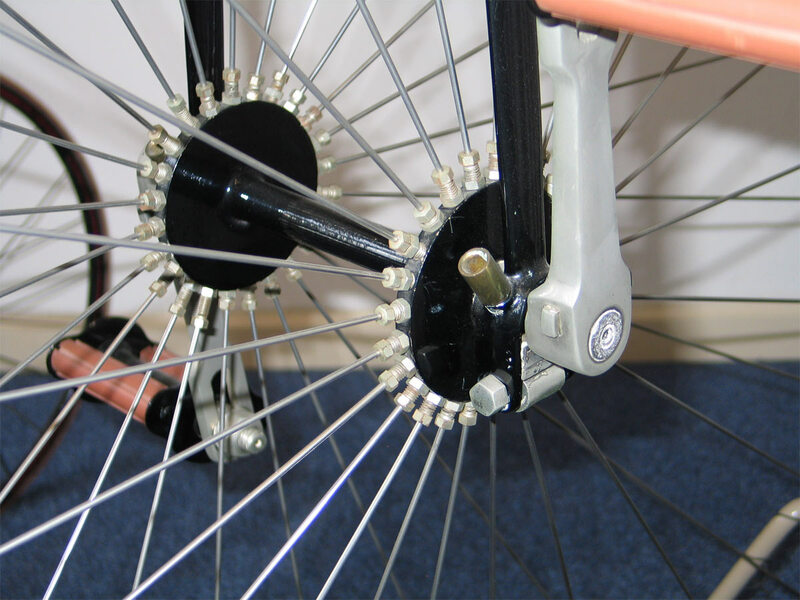 Although the small sizes, 46 and 48 inch, kept the locknut spokes until the end of production. Only 1880-1882 models had the oval name plate on the backbone: later models had a shield on the head with all the patent dates, like the other Columbia models. Look at the 1884-model. Last picture shows the step of another Standard Columbia that was sold through e-bay.